Report on the Council Meeting: We have now posted the report on the Parish Council Meeting of Thursday 31st January 2002. To view this report click here. Would you please help us now. New Vesties Appeal: Contact Appeals Treasurer, Alan Mathews Tel: 01992 813376 or Richard Risdon - Project Chairman Tel: 01992 813724. Open Gardens Day 2002: The date for this years Open Gardens Day is Sunday 30th June 2002. 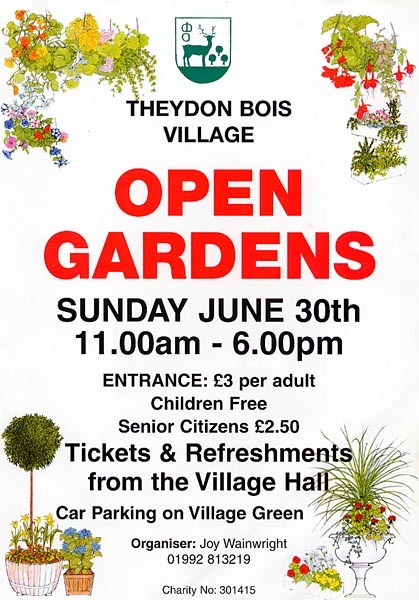 This will be the 22nd year that the villagers of Theydon Bois have opened their gardens to the public and once again there will be a chance for for villagers to display their skill in making Scarecrows that proved so popular last year. Click here for the updated Open Gardens page for further details and the report of last years event, or for further information contact: Joy Wainwright. Tel: 01992 813219. Donkey Derby 2002: The conservators of Epping Forest have again allowed the 1st theydon Bois Scout Group to hold their Donkey Derby on The Plain in Theydon Bois. This years Derby will be held on the 14th July and it will be the 15th time this popular event has been held. The main purpose of the event is to raise funds to enable activities to take place for Scouts in the village and to help towards the day to day running costs for their Headquarters building in Loughton Lane, which since being built has become a much needed further meeting place for the local community. Sponsor a race for £65. Sponsor a Donkey for £15. For further information contact Peter Simmance, Chairman of the Donkey Derby Fundraising Committee. Tel: 01992 814410. Annual visit by the Greek Theatre Players for their popular Shakespeare performance in the Wansfell College garden. This year they are performing 'A Midsummer Night's Dream' on Sunday 16 June, at 4 PM Tickets, at £7.50, are available by personal application to Wansfell College or by post from Mrs Kay Rush, 5 Thrifts Mead, Theydon Bois, Essex. CM16 7NF. (Please make cheques payable to 'Friends of Wansfell College' and enclose an sae). Restaurant Review: The Web site has received the following unsolicited review of a meal at one of the excellent village restaurants. The writer (name & address supplied) has no connection with the restaurant and although born in our village no longer lives here, but is very well traveled and has spent some time living in Australia and had extensive stays in Europe and North America. I have been spoilt and ruined for any other Indian restaurant. Do the inhabitants of Theydon Bois know how lucky they are? I grew up in the village and thought all Indian food tasted this good and it wasn't until I left that I realised how fortunate I had been. Since then I have traveled the world and eaten in some of the best places, but for quality, taste and impeccable service I have to come home to The Theydon Bois Balti House Tandoori. Last night, two friends and myself 'researched' the Curry at the above-mentioned establishment. Despite being busy, they quickly seated us and we were soon perusing the menu over pints of beautifully chilled Cobra- well what else? I chose Chicken Dhansak with Pilau Rice while my friends opted for Mushroom Rice with Chicken Sag accompanied by plain Naan and Sag Aloo. When my friend asked if she could have "as little oil as possible" on her Sag Aloo, our fabulous waiter replied "well that will be no oil then". Wonderful! We had just the right amount of time to enjoy our Pappadoms and chutneys before the meal arrived. At this point I must point out that the meat in the curries at Theydon Tandoori is consistently fantastic. It is always tender and never contains even a hint of gristle or fat! The sauces are rich and full of flavour, which means that the palate is never bombarded with chilli, as is the case in some restaurants, but there is a magnificent blend of sapidity with every mouthful! The portions are generous whilst retaining decorum. Believe me you really couldn't bear to leave a scrap on the plates. The service at Theydon Tandoori is perfect, warm and welcoming, while the decor is 'intimate'. The prices are reasonable enough to be able to treat friends without breaking the bank, or to be able to 'celebrate' on a regular basis. I love it, it is the perfect place to meet friends, celebrate, mourn, anything! People travel from all over the country, if not the world, once they know about The Theydon Tandoori. 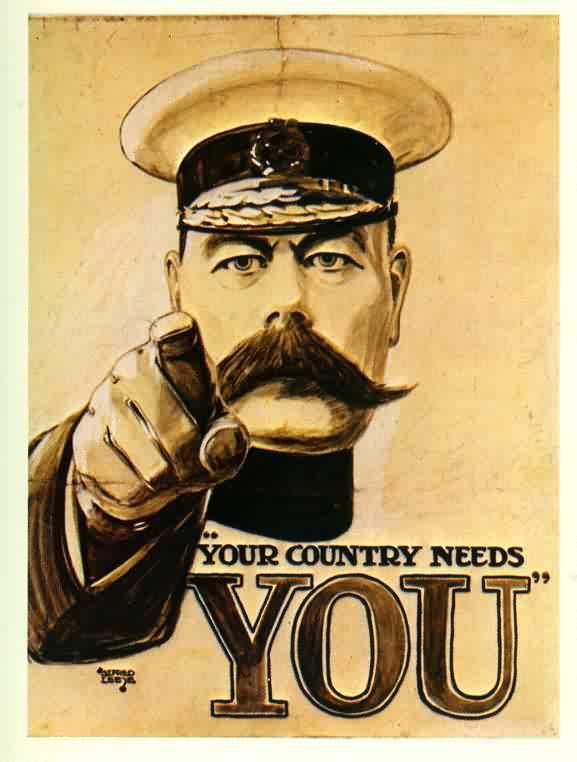 Make sure you have Your Say in how our Local Authority is run. Make sure you use Your Vote on Thursday May 2nd. Your Polling Station can be checked by contacting Electoral Services 01992 564411, for most voters in Theydon Bois it will be in the Village Hall. Polling Hours 8am - 9pm. Cuckoo Flower: Yes it must be spring. Else-where in the country they look for the first cuckoo (bird) in spring but in Theydon Bois we look to spot the first examples of the rare Cuckoo Flower. This pretty flower is now starting appear on the Hoppit again, this time towards the Loughton Lane end. Lets hope it signals a good summer! Country Care: On Thursday 18th April Country Care will be making some improvements to the Foot Paths around the Village with the help of Village members. They will supply all the equipment needed but would welcome more volunteers to help with the work. If you can give a hand please meet us at the Village Hall at 10am. Village Association Tables: With the refurbishment of the new Village Hall the Village Association has about 30 Rhomboid Tables available. Size of tops is 43.5"x28.5"x19" and they are 27.5" high, they are in good condition and could be very useful to individuals or a groups. They are open to any reasonable offers for these. For more details or to make an offer Contact John Padfield Tel. : 01992 575762. The Rural Preservation Society start their program of Sunday Walks on the 14th April at 2.00pm from the Village Hall. This first walk of the year is called "Hilltop View of Roman Road" and it is suggested that binoculars may be useful. The Society normally collects it's annual subscription of 50p a person or £1 a household from over 1700 members in the village with the help of a number of volunteers. This year due to ill heath and some members moving away from the village they could use some further assistance. The task is not too onerous, requiring you just to collect from people in your own or an adjacent road. If you can help contact Martin Boyle (Society Treasurer) Tel. : 01992 813132. Theydon Art Group: This is advanced notice that this popular group are holding their 40th exhibition of paintings for sale in the village hall on Friday 26th April 7pm to 10pm and Saturday 27th April 10 am to 6pm , admission 50p. NSPCC Ladies Doubles Tennis Tournament: Please book now for this tournament that takes place on Thursday 23rd May 2002 at Theydon Bois Tennis Club. Application forms are available from Pat Walter on 813485 or Carol Risdon on 813724. The Queens Golden Jubilee Celebration Update: The media are under the impression that the Queens Jubilee celebrations are not being planned. Theydon Bois knows better. You may be aware from our earlier News Item and from the December 2001 parish newsletter that Theydon Bois will be celebrating our Queens Golden Jubilee with a village party. For those who missed that article and to remind the rest. Theydon Bois celebrations will be held on Monday 3rd June 2002 at the village school playing fields. At lunchtime on this date church bells, gongs, whistles and drums will herald the beginning of the celebrations. It is hoped that families attending will bring their own picnic lunch, garden chairs. tables and gazebos for protection from the sun (or rain). Entertainment will be provided, which will commence with items for the young such as children's games and fun races. Parents will be able to mingle and chat with friends and neighbours without having to worry about their children. The event will be supported throughout with a variety of music to suit all tastes. In the evening we hope to arrange for outside caterers to provide food for sale such as Chinese, Ball Indian or fish and chips. We will also be providing a bar for the evening and there will be dancing to live music. Remember to note the date in your diary so as many people as possible attend this once in a lifetime village event. We are sure that it will be a most enjoyable and memorable day. Garden of Remembrance: The basic structural work to complete the Garden of Remembrance at Theydon Bois village cemetery is now complete. The work has been performed by D Honour and Son. Our thanks go to Jackie Dodman of Theydon Park Road who created the design at no cost and is currently making arrangements for planting. The project is being jointly funded by Theydon Bois Parish Council and Epping Forest District Council. Residents of Theydon Bois or relatives of persons interred in the cemetery are invited to sponsor a rose, a bench and even the central feature of the garden. A list of approved items is maintained by the parish clerk who can be found at the parish office most weekday mornings or telephoned on 01992 813442. The garden will be officially opened by the Parish Chairman, after a dedication by David Penegar, Minister of the Baptist Church, in late spring. Emergency response Procedures: Following attendance at a recent Emergency Response seminar at Epping Forest District Council the Parish Council decided that Theydon Bois should have formal emergency response procedures. A small subcommittee, consisting of Ken Cushing (Chairman), Martin Oliver and Robert Glozier, was formed and the first draft of an Emergency Response Plan was prepared and circulated to members of the council. Following comments from members of the parish council and a professional emergency planner a second draft has been prepared and the plan should be finalised in a few weeks. In the light of lessons learned by Hallingbury Parish Council, following the Korean Airline crash of December 2000, the plan aims to identify resources within the village which could be mobilised by the Emergency Services following a local disaster. If any villagers have appropriate skills or specialist equipment which they are prepared to utilise in a disaster would they please make this known to the parish clerk . Tel: 01992 813442. Playground at Theydon Association Registered charity no.1007418 A committee consisting of residents of the village of Theydon Bois, Essex, runs the Playground at Theydon Association (PAT), a charity registered with the Charity Commission. It was formed in 1990 with the intention of raising funds to build and maintain a playground in the village. The playground was built and opened in 1993, and we continue to raise funds for maintaining the playground to a high standard. In fact, the playground has been awarded the accolade of "Best Kept Playground in Essex" on more than one occasion. All of the money raised to date, some £50,000, has been spent on building the playground and associated running costs. None of the money goes towards salaries or similar costs as the association is run on the basis of unpaid volunteers. We continue with various fund raising events throughout the year, and we receive donations from residents of the village. The Theydon Bois Masonic Lodge is shortly organising a Quiz evening to raise money for our current project. However, we occasionally require larger amounts of money to fund certain projects needed to keep the playground up to a satisfactory standard. The centrepiece and seesaw in the playground now require replacing, they were not new when we installed them 10 years ago. It was recognised that the playground would benefit from improved facilities for children with disabilities. The playground is extensively used, even in the winter months, not only by the children of Theydon Bois but also the surrounding villages and towns. It is also well used by children from schools in the outer London area. We have found that the high use of the playground includes a number of children with disabilities and that there are very few public play areas that cater for their special needs and hence our awareness in this matter. Now the existing pieces are ready for replacement it is natural to take the opportunity to enhance the facilities accordingly. Following consultation and site visits with suppliers, and based on the committee's 10 years experience of fundraising and playground usage, we have now chosen equipment that we consider will satisfy these needs. This will cost in the region of £20,000 and we are at present in the process of applying for various grants to help meet the expense of installing this apparatus. Verges:The Parish Council continues to be concerned at the damage occurring to verges from parking of vehicles. Also it is noted further damage from builders driving onto and placing materials on the verges. Consultation is taking place with the District Council to deal with this problem but we are asking residents for their co-operation. STOP THE PAPER CHASE: On some 'blue box days' lately the weather has been very windy resulting in lots of paper blowing around. We thank the residents who have helped to clear up but it would help if something heavy were placed on top of boxes to stop this occurring. Thank you. Sunday 17 March, 3.45 for 4.15, at Wansfell College. Talk by Peter Foley entitled 'Essex Ghosts – but not the commoner phenomena! ', followed by a salad meal, sweet and coffee. Tickets, at £8, are available from Mrs Kay Rush, 5 Thrifts Mead, Theydon Bois, Essex. CM16 7NF. Please make cheques payable to 'Friends of Wansfell College' and enclose a stamped addressed envelope. Thank You: May we, through the Parish Newsletter & Web Site, thank everyone in the village, young and old, for the warm support and friendship we have been shown since our son Mark had his car accident on 20th October 2001. Mark continues to make steady progress and we are so grateful for the community spirit that exists in this village. Bev and Neal Tomlinson of Dukes Avenue, Theydon Bois. The Queen's Jubilee Celebration: It seems the Christmas & New Year celebrations are hardly over but the keen band of activists in our village are already hard at work preparing events for the coming year. One of the most important will surely be the celebrations around the Queens Jubilee which Peter Simmance and his committee are working towards. If you fancy yourself as an entertainer (you may be the next 'Pop Idol') or can help in any way please contact the Parish office or Peter as below. Next year Queen Elizabeth will celebrate her Golden Jubilee marking her 50-year reign as the Queen of our country. To commemorate this event, an extra bank holiday has been granted to mark the date of her coronation. A Golden Jubilee is a very rare event, and no one alive today has celebrated one in this country before. Theydon Bois Parish Council has provided funds for a village party to be held on the 3rd June 2002, the Bank Holiday designated for the whole of Great Britain to celebrate the Golden Jubilee. A committee, chaired by Peter Simmance, has been set up to run the event, which we hope you will all enjoy. We have been given permission by Mrs Elspeth Bonds (Headmistress of our primary school) to hold the event on the school playing fields. Although we are at an early stage in the planning of the event, I feel it appropriate to share with you, some of our thoughts on how the day might run. The event will start at approximately 12 o'clock- midday. It is hoped that families attending will bring a picnic lunch, garden chairs, tables and gazebos for protection from the sun (or rain Entertainment will be provided, which will commence with items for the young, such as face painting, children's games, fun races, shows and clowns etc. Parents will be able to mingle and chat with friends and neighbours without having to worry about their children. The event will be supported throughout with a variety of music to suit all tastes In the evening we hope to arrange for outside caterers to provide takeaway food such as Chinese, Balti, Indian or fish and chips. We are also -providing a bar and there will be dancing to live music. The event should finish at about 11 o'clock. Star impersonation - Elvis, Sinatra, Jagger ect. Lets see what talent we have in Theydon B&S - this could be your big break into the entertainment world. In return we will provide two stages for the performers with sound equipment backup. For those of you not able to help or partake, please make an early note in your events calendar so as many people as possible attend this once, in a lifetime' village event. We hope that it will be a most enjoyable and memorable day. It is anticipated that there will be a large number of requests for road closures connected with celebrations for the Golden Jubilee. 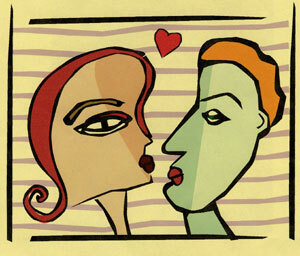 Formal applications must arrive at the Authority by 28 February 2002 to qualify for consideration. Any received after that date will not be considered.